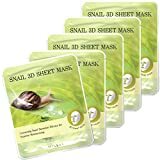 Snail slime extract with excellent moisture helps make the dry skin moisturized and the damaged skin nourished. 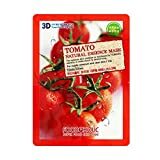 3D sheet mask provides easy and quick application and perfect adherence on the face curving area such as nose and chin. 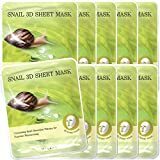 3D sheet mask with ergonomic design for fast and easy apply and perfect adherence on face curves especially on nose and chin area. 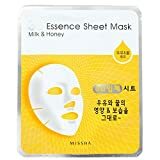 Ergonomically designed sheet masks are soaked in rich and hydrating essence that provides immediate hydration and relaxation to dry and stressed skin. 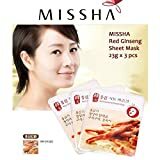 The active ingredient of red ginseng extract is renowned for its ability to smoothen out wrinkles and restore skin’s youthful appearance by significantly increasing collagen production. 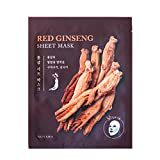 Used regularly, 3D Red Ginseng Sheet Mask minimizes lines and wrinkles, while helping skin stay optimally hydrated. 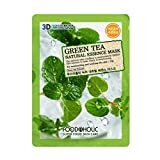 Green Tea Natural Essence Mask contains the extract of green tea which soothes the skin and gives the moisture and refreshment to the skin to prevent the roughness and keep the moist skin. Direction: 1. After washing face apply on mask. 2. 20~30 minutes later take off the mask and tap gently excess amount of essence onto the skin. 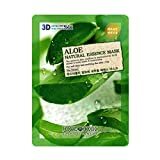 Aloe Natural Essence Mask soothes the skin from the external harmful environment and the excellent moisturizing effect keeps the moist skin. 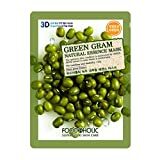 Green gram natural essence mask contains the extract of green gram which gives the rich moisture and care the tired and rough skin to keep the elastic and moist skin. 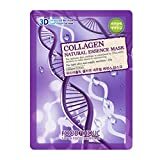 The concentrated collagen in the FODAHOLIC Collagen Natural Essence Mask supplies moisture to the rough skin or parts exposed to the ultraviolet rays and thus making the skin tight.